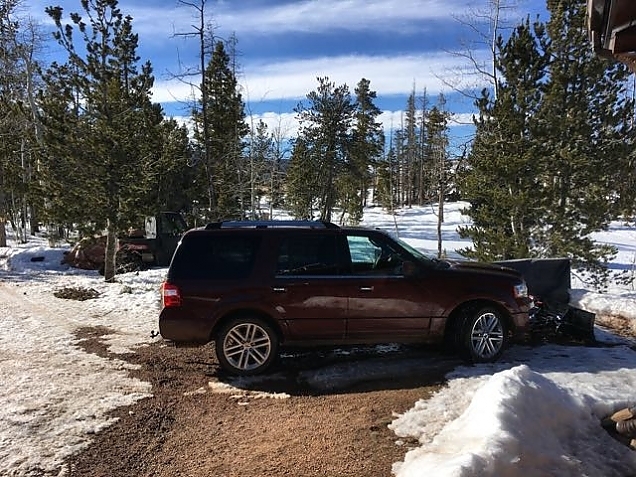 I guess it is pretty ironic that after working so hard to get the Expedition away from the cabin, see this post and this one too, that we recently spent a couple of days getting it back in. As you'll recall, we got past all the different segments of the trip down the hill except a few hundred yards of Hidden Meadows Lane which were plugged with several feet of hard-packed snow and ice. But, a few hours of work with a tractor, and we got that open. 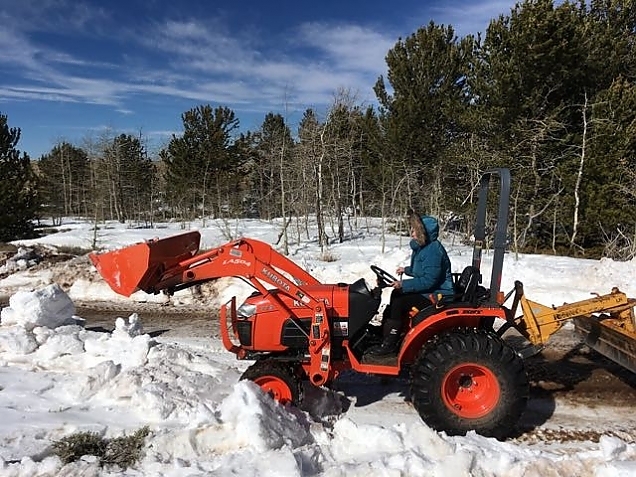 Lynne, who has always wanted to drive heavy equipment, is doing a superb job of clearing the snow. 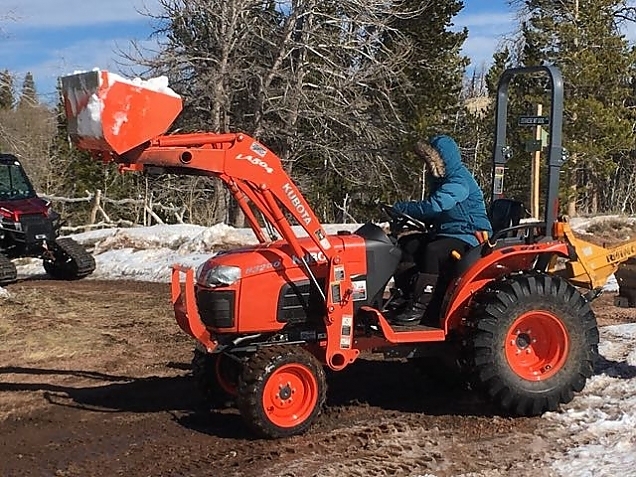 Making a snow fence of snow. 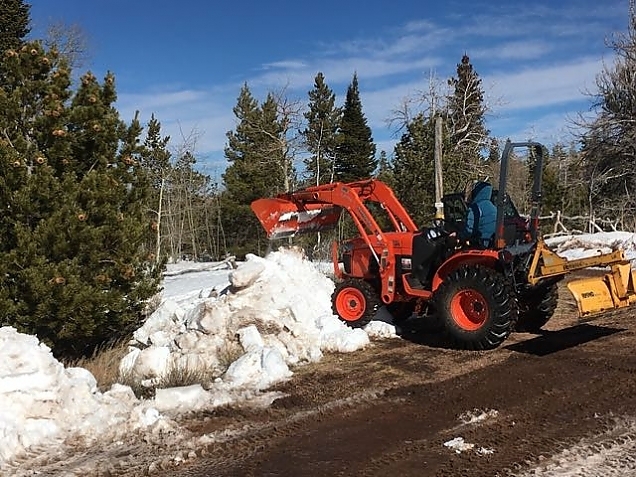 These piles should help prevent the driveway from filling up during the next snow and blow. 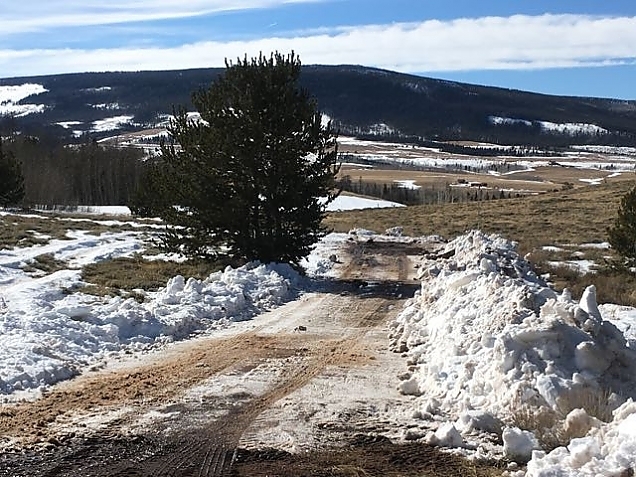 So, now the Expedition is parked at the cabin site again, and we can go directly from the back door to the truck to check mail or get into town. All sections of the road are open, even those that we usually have to bypass with a route on back roads. And, the Expedition is now parked at the cabin. The forecast is for us to get snow and wind starting again next week. So, on Monday or Tuesday, we'll exchange the Expedition for the Suburban, parked at Mr. H's, and we'll park the Suburban at the top of the hill on our neighbor's property.